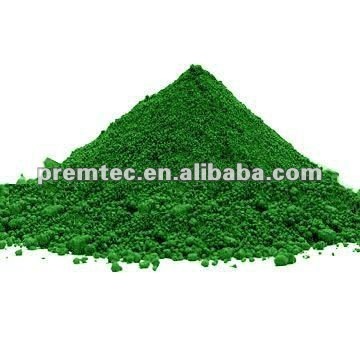 It is cubic crystal system or amorphous powder, olive green, which has metallic luster. its gravity is 5.21, melting point is 2,266±25ºC and boiling point is 4,000ºC. It can not dissolve in water and acidic solution, but it can dissolve in the solution of alkali metallic bromate. It is very stable to light, atmosphere, high temperature and corrosive gas (SO2, H2S etc.) It has high covering power and magnetism. 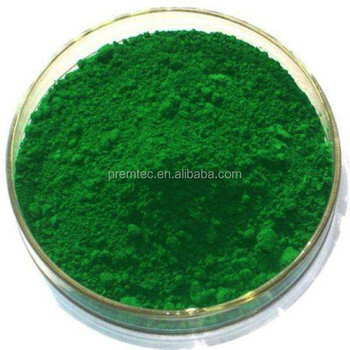 1.mainly used in green grourd pave paint colorant, smelting metal chromium, chromic carbide and catalyst of organic synthetic chromium. 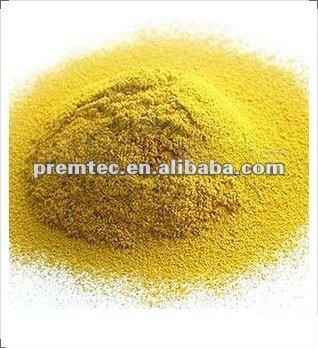 3.also used for making sun-proof coating, abrasive, green polishing compound, refractory materials and special printing ink for printing bank note.